Is China’s Economy Headed Towards Collapse? 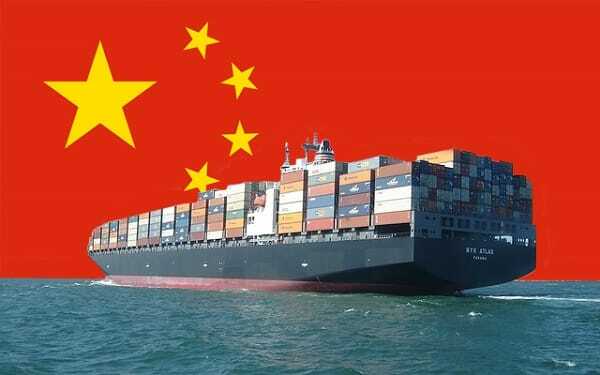 Home » China’s Economy is Headed Towards Collapse; What Will This Mean for the U.S.? China’s Economy is Headed Towards Collapse; What Will This Mean for the U.S.? With China’s economy showing more and more signs of problems, what will this mean for the future of the U.S. economy and your savings? For decades, China has been the model of growth that the world’s slower economies envied. Much has been said about the new paradigm of “managed capitalism” that supposedly showed how clever and effective the Chinese communist party was in managing the “evils” of free markets. Unfortunately, reality has set in. Today, the Chinese economy is experiencing a devastating slowdown and no one knows where it will end. But you wouldn’t know this if you listened to the Chinese government. According to official word from Beijing, the economy is still breezing along at a 7% growth rate — no problems here! Of course, any analyst worth his salt realizes the numbers provided by the government are inaccurate and paint a picture that can’t be trusted. Instead, the real situation can be discerned from anecdotal data in the real economy. If anyone doubted the magnitude of the crisis facing the world’s largest steel industry, listening to Zhu Jimin would put them right, fast. Demand is collapsing along with prices, banks are tightening lending and losses are stacking up, the deputy head of the China Iron & Steel Association said on Wednesday. There you have it: Evidence of a major economic contraction. It doesn’t take much effort to find multiple, similar reports from other actors in the Chinese economy itself. You see, when China morphed its economy into some type of totalitarian/capitalist hybrid in the 1970s, economic growth exploded as capitalism did what it always does — create growth! However, this growth was managed and directed into infrastructure and export markets. For years, infrastructure comprised 50% of Chinese gross domestic product, which is an unheard of number. This created a massive bubble of misappropriated capital, which the financial crisis of 2008 exposed. So how did the government react? They spent trillions more on infrastructure, hence the infamous ghost cities of China. Then they tried to lay off this debt into an overheated Chinese stock market. This worked for a while, but a few months ago, that bubble popped as well. The equity market crashed, and crashed big. Now Beijing has no more arrows left in its policy quiver, and in an effort to stop the carnage, it has actually been arresting sellers of equities. But all of this is old news. The question is, what happens going forward? And the answer is not good. China has to deleverage. They have to endure pain to readjust their economy and reallocate capital. This could take years or even a decade. No one knows exactly how long it may take. What’s the point here? It’s to sound a warning of the risk of a severe Chinese economic contraction, and the ripple effect that it could send around the world. China is the #1 or #2 economy in the world, depending on what metric you look at. So a Japanese-type scenario for China could severely retard global economic growth. Here in the U.S., such a collapse would make it increasingly hard for the U.S. to grow its way out of the huge fiscal problems it’s facing. America would move even closer to defaulting on the trillions of dollars we owe the world, which could not only hurt the value of the dollar, but also your savings. If you do nothing else with this information, take this as a warning shot across the bow. Are you diversified outside of paper assets like stocks, mutual funds and bonds? If you’re not, maybe this is the time to start — before things get really bad. China is trying to protects its economy. It recently set records for their gold consumption. Read further here.